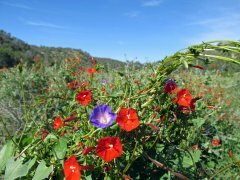 Deer Canyon Preserve is a conservation community built to provide a beautiful, active living opportunity while protecting the natural environment. Conservation is the underlying principle surrounding Deer Canyon’s carefully designed environmental plan that encompasses spacious building sites (20—25 acres), custom designed houses, and well-planned support facilities. 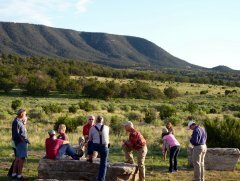 Over the last ten years, individuals, couples, and families from widely diverse areas have been inspired by the serenity and peace of Chupadera Mesa and Central New Mexico. Deer Canyon residents enjoy community activities, hiking, horse-back riding, photography, spending time with neighbors, and tutoring students in nearby Mountainair. This town provides an active local art scene with the many amenities of Santa Fe and Albuquerque a reasonable drive away. Indeed, all New Mexico’s wonders can be reached in half a day’s drive or less. Both current and future residents have thus developed a strong, committed dedication to this beautiful community and, most importantly, to its preservation. 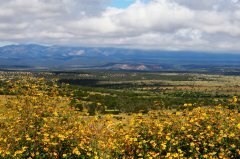 The preserve includes over 11,000 acres with less than 10% developed (including 7,000 acres under New Mexico Land Conservancy management and 3,650 acres as open space). Supporting strong conservation and preservation covenants, a high percentage of this open space is protected in perpetuity, incorporating strong nature conservancy principles with minimal human disruption. Everyday life on the preserve can be as private or connected as one wishes; however, everyone can participate in the management of the community as overseen by its Home Owners Association and Board of Directors. This gated, master-planned community, with custom homes, buried utilities, and miles of private roads, offers 360 degree views of the surrounding mesa covered in a piñon-juniper forest, red rock arroyos, and the Manzano Mountain Range across a scenic valley. Deer Canyon residents enjoy community life at the custom built Preserve Center, which provides a multi-purpose meeting room that is open to residents for private functions. Sharing a common passion for conservation and preservation, new residents experience an instant camaraderie that stimulates strong friendships, togetherness, and social interactions. These extend to adjacent communities, especially the nearby, historic town of Mountainair. Deer Canyon residents enjoy community life at the custom built Preserve Center which provides a multi-purpose meeting room open to residents for private functions. The preserve is ideal for equestrian living, with several larger lots designed to accommodate equine facilities and residents. Additionally, the community features an Equestrian Center that can be used to board owners’ and guests’ horses. Residents of Deer Canyon Preserve participate in a conservation lifestyle as a model community of the future—promising a new way of enjoying the wildlife and natural resources that surround us and preserving them at the same time. 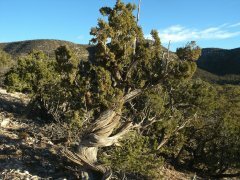 Deer Canyon offers a unique opportunity to live and work as genuine stewards of our ecosystem. The rewards of this conservationist lifestyle offer the satisfaction of giving back to nature coupled with the knowledge that what is being preserved will still be there unchanged for future generations to enjoy. All property at Deer Canyon is bought and sold through private transactions between owners and interested parties (subject to Deer Canyon Preserve HOA covenants). Undeveloped home sites and custom-built homes are sometimes available through local realtors and local, experienced builders are also on call for all construction needs. For additional information, please contact us at: http://dcphoa.org.